Mark your calendar for July 24-27, 2019! 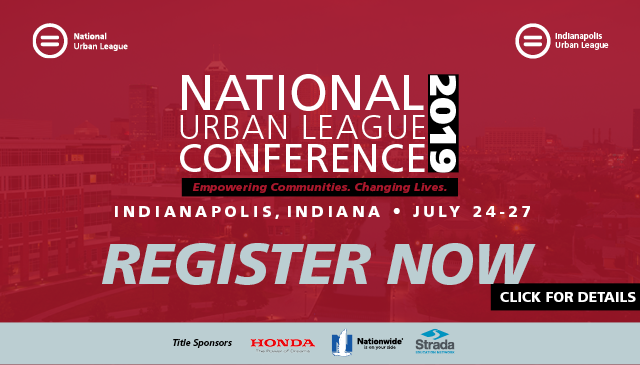 For four power packed days, political, business, and community leaders will convene in Indianapolis, IN for the 2019 National Urban League Conference. Our Conference is a premier experience for all ages, drawing thousands of attendees from across the country for critical dialogue, networking, and entertainment! We look forward to seeing you in St. Louis for an inspiring and empowering conference that will provide you with unmatched professional, civic engagement, business development, and networking opportunities. Stay ahead of the curve and book your Registration TODAY.